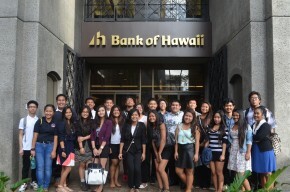 Earlier this month, twenty-four Farrington High School Business Academy students visited the downtown offices of Bank of Hawaii. Students met with employees and learned about different career paths within the bank and also got to tour the building including fitness center, cafeteria, safety deposit vault and downtown branch. 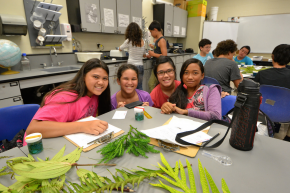 This summer, Big Island middle school students are participating in a new STEM camp at Hawaii Community College. 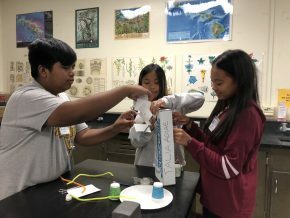 The goal of the camp is to spark these young students’ minds about science, technology, engineering and math with the hopes of increasing the number of college graduates in Hawaii with expertise in STEM fields. 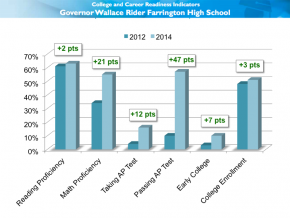 Farrington High School stands out in the 2015 College & Career Readiness Indicators (CCRI) report, which looks at the performance of the Class of 2014 across a variety of key measurements, including proficiency, graduation, college-going and dual enrollment rates. This year’s report shows students at Farrington High School are much better prepared for college and career. In just six years, the school’s college enrollment rate has skyrocketed from 39% in 2009 to 51% in 2014. This summer, McKinley High School coordinated a summer bridge program for seventy incoming 9th grade students. The five-week program provided students the opportunity to receive academic brush-up in math and English, meet with high-school student peer-mentors, and participate in college campus visits. One of the other highlights of the program included “Career Week” where students had the opportunity to visit local businesses representing various industries. From engineering to healthcare to hospitality and culinary arts, students toured the businesses and learned about the various skills and education needed to be successful in these industries so they could begin making plans for their own future. A big mahalo to following companies who participated in our student tours: Alan Wong’s Restaurants, Honolulu Police Department, KITV, Oceanit, Queen’s Health Systems, and Starwood Hotels. 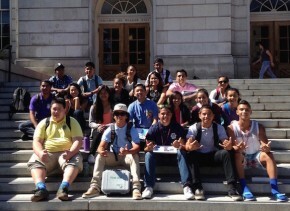 This summer, 20 students from Farrington, Hilo, Kaimuki and Waiakea High Schools embarked on the first-ever college tour hosted by GEAR UP Hawaii. The students had the opportunity to visit five college campuses in the San Francisco Bay Area: California State University – Sacramento, Notre Dame de Namur University, University of California at Berkeley, University of California at Davis, and University of San Francisco. The students also experienced college life by staying in dorms on the UC Berkeley campus and engaged in a variety of activities including industry visits to local businesses to help prepare them for college and career. More Hawai‘i public high schools are participating in this year’s Cash for College FAFSA Challenge, a campaign to help make college more affordable for students. 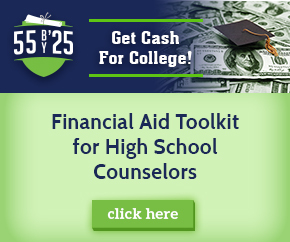 The challenge encourages seniors to complete the Free Application for Federal Student Aid, or FAFSA, which helps students identify financial aid available to them. 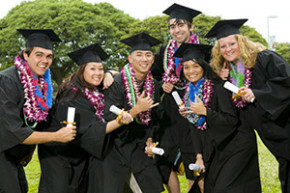 In the 2013-14 academic year, University of Hawaii awarded the highest number of diplomas and certificates in its history. Over 11,278 degrees and certificates were awarded by the UH System, a 13 percent increase over the previous year. 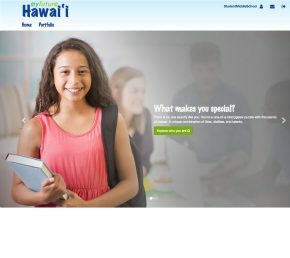 More than 2,500 high school seniors statewide will receive assistance in applying to a University of Hawaii System campus as part of “College Application and Exploration Season (CAES)”. Congratulations to teacher Karlene Kauleinamoku, recognized by the National College For Every Student office; this is the fifth year in a row that Dole Middle School has received the award. It goes to schools that make outstanding strides in putting their students on the path to college. At Dole, students in the 6th grade already begin thinking about colleges by visiting the University of Hawaii-Manoa; in the 7th and 8th grades, Kauleinamoku works with the students in helping them write personal statements and how to fill out financial aid applications. 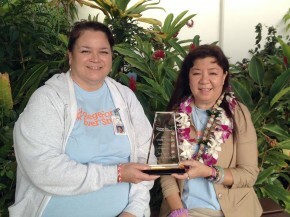 Congratulations to Principal Tiare Uli‘i, Ms. Kauleinamoku and the rest of the Dole Diplomats! The more you learn more about the Hawaii Common Core, the more you can help your child! 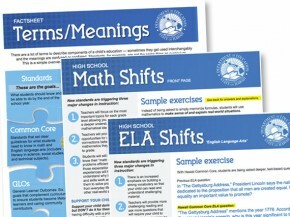 The Hawaii State Department of Education has made several resources available to help families explore new standards and assessments — access practice tests, videos (including below), handouts and more.